This month, our Recruiter Spotlight is on Jordan Kimbriel, an Arkansas native and Associate Recruiter based in Russellville, Arkansas. 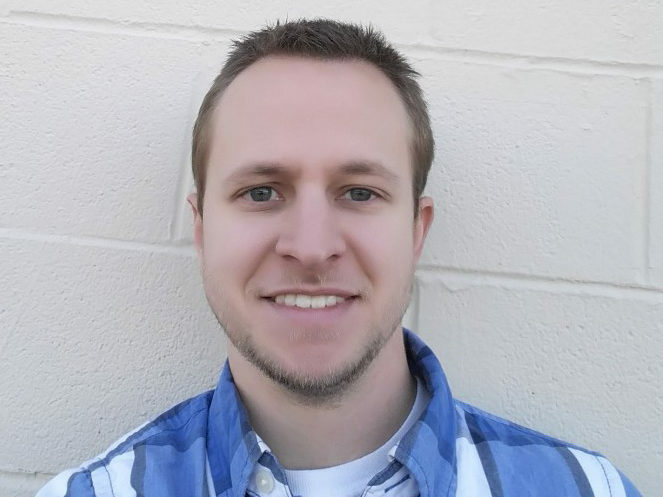 Jordan started with Asurion as a Customer Service Representative in 2008, progressing through the ranks as a Program Specialist, Quality Analyst, Trainer, and now, Recruiter, a role he has held for the past two years. Jordan has hired 500 of Asurion’s finest and has no expectation of slowing down. We talked to Jordan to learn what he loves about recruiting and what motivates him every day. Asurion Careers: You joined the company in 2008. Who was Jordan Kimbriel pre-2008? Jordan Kimbriel: Before 2008 and after finishing High School, I worked with my brother, running a home remodeling business. I wasn’t sure what direction I wanted to go in at school and heard about the customer service position. I wanted to break into something customer-service related, so I completed an Asurion application. I was called for an interview by a recruiter (my current boss) and didn’t know what to expect. My recruiter showed me around the center and it was the first place I’d been with a really good feeling from the get-go. Now I know that this is a place where, if you try your best, opportunities present themselves. AC: What roles do you primarily recruit for? What attributes do you look for in candidates? JK: I typically hire for our Customer Care Representative positions, where we need people with strong customer service skills! Taking care of our customers is our number one priority. You genuinely have to care about finding a resolution for the customer, versus just taking calls all day. Every call is a challenge to resolve a problem and our representatives actually see how important and vital they are to the success of the company. AC: What got you interested in recruiting and what do you enjoy about your role? JK: I always felt like it was something that I would enjoy. I asked the previous recruiter (my current boss) if I could help out and she was gracious enough to take me in and show me the ropes. I started speaking in our info sessions and was able to fill an interim stint when she was on maternity leave. I fell in love with the role, being a part of the management team, who I’d always looked up to, getting to work with them directly; it felt like I was helping with the center operations, which felt good. I also loved connecting people with good jobs. When the role opened up, I saw an opportunity for myself. I didn’t realize how broad recruiting is. It goes a lot deeper than just screening and hiring people. I do full-cycle recruiting, from new hire paperwork, to training, to watching people develop and grow, including internal promotions of employees I previously hired. Being onsite, seeing every one each day, and having someone come by my office to say “thank you, this is the best place I’ve ever worked”, it never gets old. I’m connecting people every day to the opportunity that I got, and that’s really cool to me, to be able to do that. Our center is team-oriented. You can achieve a lot as an individual too, but it feels like you’re part of a team, and it doesn’t matter what position you’re in. The further along I moved with the company, I realized more and more of the things we do to say “good job” – drawings for a $500 gift card, getting an email that recognizes someone for their daily goals, a pizza day for everyone to show appreciation for being present on a snowy day. AC: Is there anything you come across that you wish candidates knew and would do more or less of? JK: Show some passion! You applied because something about the job interests you. Talk about why that interests you and what you bring to the table. AC: What advice would you give someone considering a Customer Care Representative role in Russellville? JK: From our benefits package to our monthly performance bonuses, we have a lot to offer someone looking for a great place to start a career. My advice would be, take time during the interview process to ask questions and get a feel for the environment. You absolutely need to get the information that is important to you and make sure it is a good fit for you. If you’d like to connect with Jordan directly, let him know you found him on our blog by connecting here. If you want to learn more about careers at Asurion, click here.